All Mill Creek homes currently listed for sale in Mill Creek as of 04/25/2019 are shown below. You can change the search criteria at any time by pressing the 'Change Search' button below. If you have any questions or you would like more information about any Mill Creek homes for sale or other Mill Creek real estate, please contact us and one of our knowledgeable Mill Creek REALTORS® would be pleased to assist you. "SUPER CUTE cabin in Mill Creek! 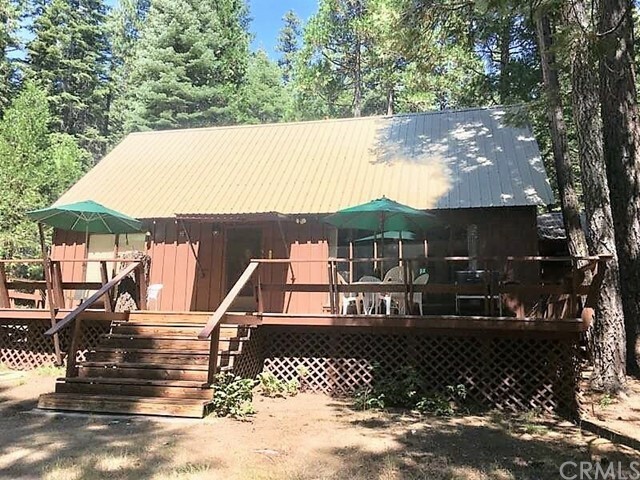 Located minutes from Lassen Peak, this cabin offers year round enjoyment. This 3 bedroom 1 bathroom cabin has an original wood fired cook stove/oven to add that old time charm for your family get togethers. For a little quicker way to cook, there is also a conventional stove/oven in the kitchen. The redwood deck out front offers fantastic views and a great place to relax under the forest canopy after hiking or biking."